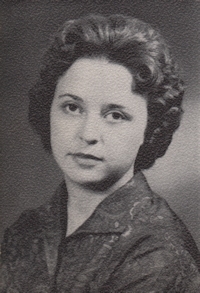 Obituary – Melton, Janice Kay (Betchan) Melton « Perry High School Alumni Association, Inc.
Red Hots 57-58; Library Staff 58-59; Christmas Vespers 58-59; All School Revue 58-59. 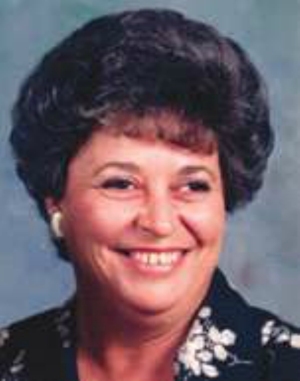 Janice Kay Melton, 73, of Perry, passed peacefully from this life on Saturday, November 7, 2015 with her loving family by her side. Services have been entrusted to the care of Palmer Marler Carberry Funeral Home of Perry and a service celebrating her life will be held at 2pm Thursday, November 12, 2015 at Calvary Baptist Church in Perry. Interment will follow at the Pleasant Valley Cemetery in Mulhall. Public visitation will be held from 9am to 8pm on Wednesday, November 11, 2015 with the family greeting friends at the funeral home on Wednesday evening from 6pm to 8pm. Janice was born on April 1, 1942, the oldest of thirteen children born to the late Herbert and Helen (Cain) Betchan. She grew up and attended schools in the Perry area, graduating from Perry High School in 1959. Shortly after graduation, Janice married her high school sweetheart, Garland “Tony” Melton on June 14, 1959. Janice and Tony spent the next 56 by each other’s side and were blessed to raise their four wonderful children together. In the late 1960’s the family relocated to the Drummond/Enid area where Tony was employed in the oil field. Janice spent over a decade working in the food service and hospitality industry in Enid. She was a waitress at the Wagon Wheel for several years before accepting a position as a restaurant staff supervisor and event manager for the Best Western Hotel in Enid. While working at Best Western, she supervised a visit from President George Herbert Walker Bush. She was awarded a presidential certificate for her generous hospitality and successful supervision of his official visit. Janice cherished this award and proudly displayed it at her home. Following their retirement, the Melton’s returned to Perry in 2013 to be closer to their family. Janice was a caring and generous woman who prioritized family above all else. She was always full of joy and treated everyone she met with kindness. She was never happier than when she was surrounded by her grandchildren and great grandchildren. Janice Melton was dedicated wife, a loving mother, a dependable sister, a proud grandmother, and a trusted friend and her sweet spirit will be missed by all who knew her. Janice was preceded in death by her parents, Herb and Helen Betchan, three brothers, Bud Betchan, John Betchan and Jim Betchan; one son, Tony Melton Jr.
Janice is survived by her husband Garland C. “Tony” Melton of Perry; two daughters, Shelly Law of Enid, OK; and Kay Lenhart and husband Dustin of Mustang, OK; one son, Danny Melton and wife Brenda of Ringwood: eight grandchildren-Christi Watkins of Aline, OK; Jamie Wagner of Helena, OK; Ben Wagner of Enid, OK; Hillary Melton of Enid, OK; Keith Melton of Waynoka, OK; Curtis Melton of Ringwood, OK; Tyler Lenhart and Lexie Lenhart of Mustang, OK: great grandchildren-Morgan Shreve of Helena, OK; Cassie Wilson of Apache, OK; Hayli Watkins and C.J. Watkins, both of Aline, OK; Braydon Ross of Waynoka, OK; Jayden Wagoner of Helena, OK; Kaylin Spangler and Peyton Kelso, both of Aline, OK; and Aiden Tazzper of Enid, OK: one great-great grandchild-Jacob Shreve of Helena, OK; nine siblings-Edyth Matal and husband Merill of Billings, OK; Kathy Barefoot and husband Clinton of Moore, OK; Patty Austin and husband Larry of Madill, OK; Randy Betchan of Enid, OK; Bobbie Betchan of Bethany, OK; Becky Betchan of Edmond, OK; Kim Hildebrand and husband Mike of Enid, OK; T.T. Betchan and wife Marylin of Pond Creek, OK; and Stacy Pfaff of Longview, TX. Memorial Contributions may be made in Janice’s honor to the Alzheimers Association, in care of Palmer Marler Funeral Home, P.O. Box 189, Perry, OK 73077.